Bolt Head, by Tech Lighting, provides focused light in with its 360° rotation and 90° pivot with a concealed lamp (not included). A great solution for highlighting works of art using the Tech Lighting Monorail system. 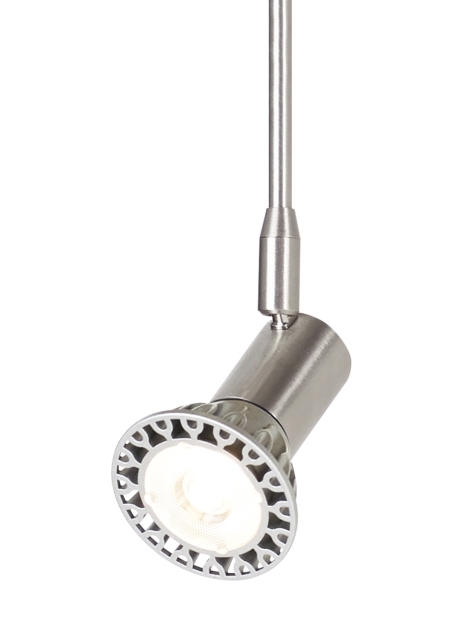 Available in two stem lengths, 3” and 6” and two finishes, satin nickel and white. (No Lamp) Rated for rated for (1) 50 watt max halogen MR16 lamp (Not Included). Dimmable with most LED compatible ELV and TRIAC dimmers. Length -- Choose -- 3" 6"